Routine hygiene appointments are essential for maintaining a healthy smile. Find out more about gum disease below. Your smile is one of the first things that people see when you greet them, so a visit to the hygienist between 2-4 times a year is key to preventing gum disease. Deborah Knowles is a most thorough and gentle hygienist who adds a whole wealth of knowledge to our well established practice. 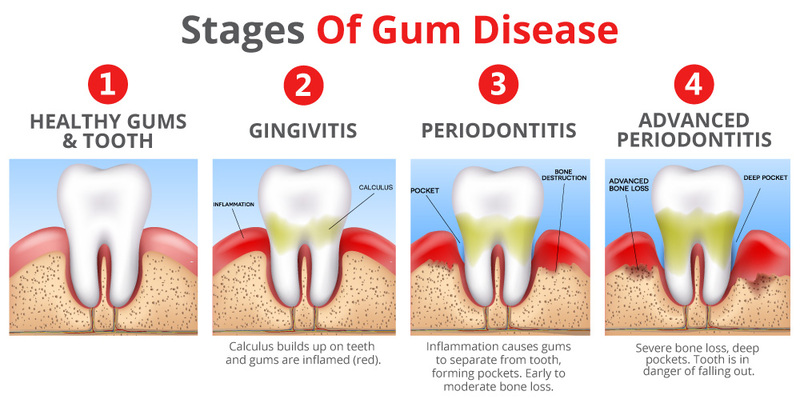 The stages of gum disease. Regular visits to a hygienist can prevent this. Early detection of periodontal disease is critical to maintaining overall health.